This unique band is hand crafted in rose gold that has a subtle pink hue. 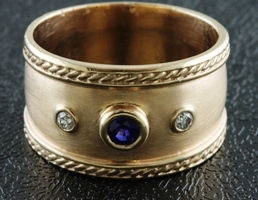 Bezel set in the center is a bright blue sapphire with a diamond on each side. The engraved detail on each edge of the band adds a nice artisan touch. 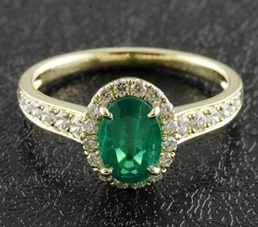 Green as the hills of New England in spring time, the emerald in this ring glows! 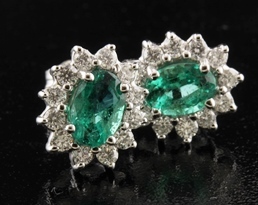 The diamonds surrounding the emerald and set into the shank add a bright twinkle to this lovely piece. Centered in this ring is a blue sapphire of bright and clear color. 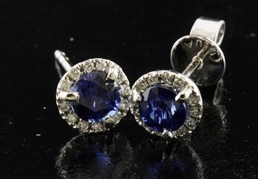 Surrounding the sapphire are beautifully cut round brilliant diamonds. The shank of this ring also has channel set diamonds, for just the right accent. 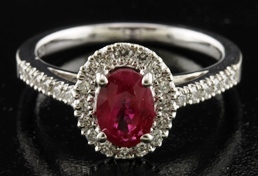 The bright white diamonds in the halo and shank of this ring shimmer around the luminous red ruby at the center. This piece is romantic to the eye and practical on the hand, as it sits flat against the finger. 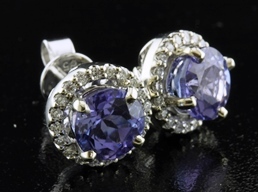 The tanzanite stones that adorn these earrings have a very pleasing violet hue. The diamonds that surround them are a lovely contrast to the violet color. Verdant green, oval faceted emeralds hugged by a ring of brilliant white diamonds. These earrings are a must have for the collection! These pretty studs are the perfect accessory for any time or any occasion! 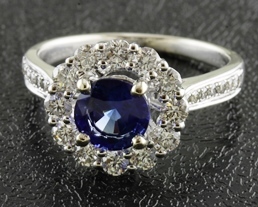 The sapphires are a perfect shade of blue and surrounded with a halo of white diamonds. Glowing blue sapphires are set at the center of these earrings. 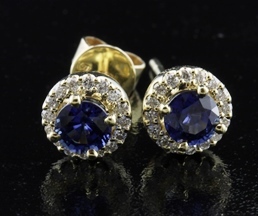 The sapphires have a twinkling halo of diamonds that really compliment their color. A sweet ring that could be worn every day. 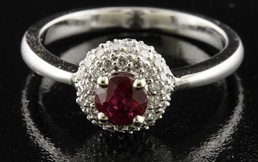 The round faceted ruby has a deep red color and is surrounded by pave set diamonds. The diamonds add a little touch of bling! 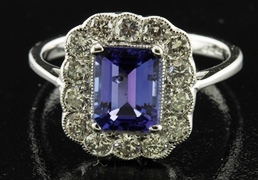 Set at the center of this lovely piece is an emerald cut tanzanite of very fine quality. The color is a deep, rich violet tone- the most desirable shade. Bead set around the tanzanite are brilliant white diamonds. 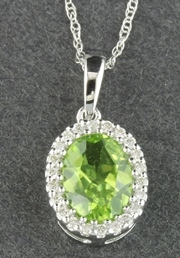 The centerpiece of this pendant is a vibrant oval cut peridot. 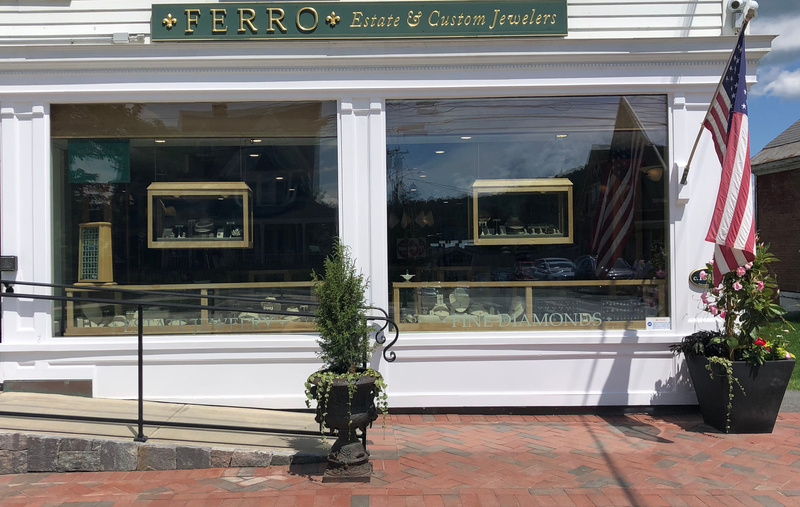 The peridot is surrounded by a halo of beautiful white diamonds. 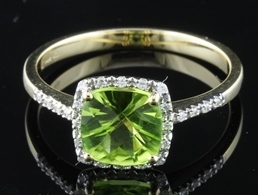 The peridot in this piece is a lush and verdant green, nestled in a halo of delicate shining diamonds.